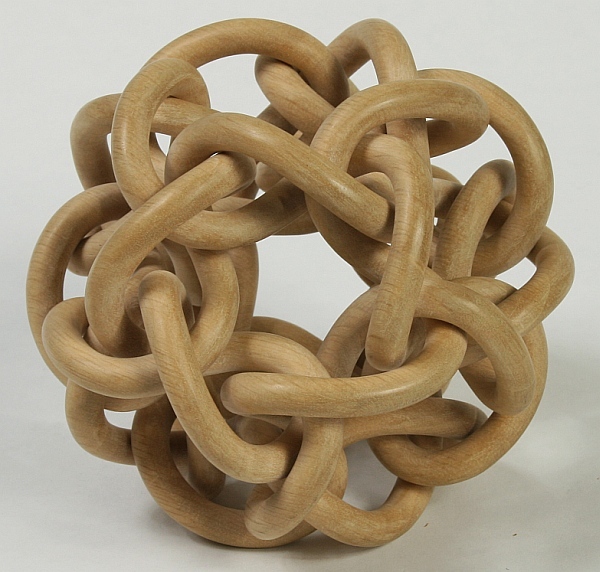 Bjarne Jespersen, a Danish carver with geometric interests, creates not just linked hearts, but intricate linkages of knots. 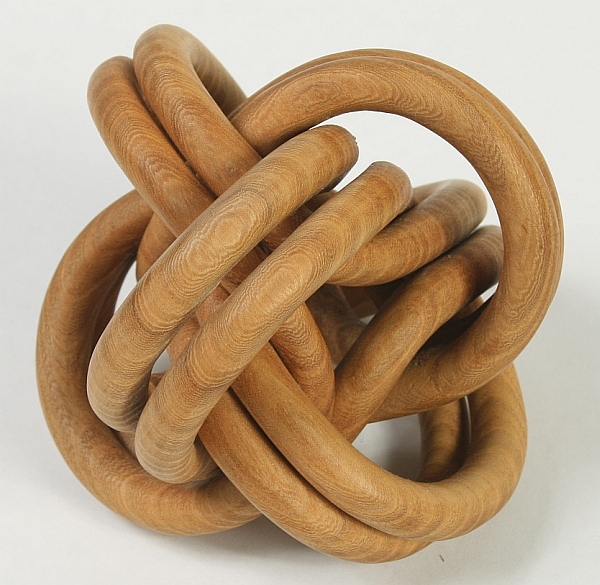 The above image shows a beautifully symmetric 10-cm carving of four interlocked trefoil knots from a single piece of wood. The components are free to jiggle just slightly. Even harder, here are six interlinked paths forming a tangle with dodecahedral symmetry. It has twelve five-fold openings like the one at the center of the image. Again, it is carved from a solid block, and the individual parts are just free to wiggle a bit. This article first appeared on Make: Online, April 19, 2010.